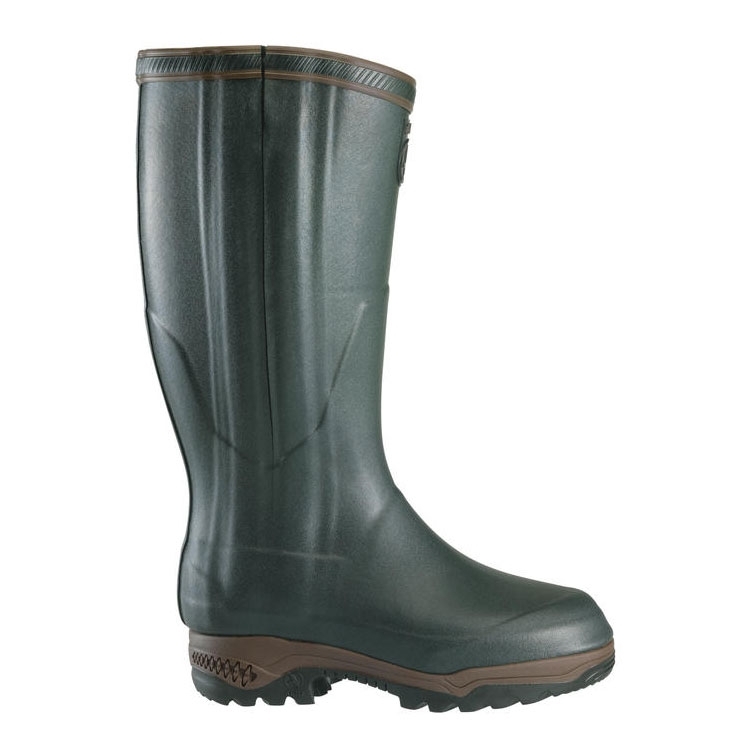 Aigle Parcours 2 ISO Open Wellington Boots. An insulated, zipped version of the Parcours 2 boot, featuring a neoprene foam layer for insulation to -20 degrees. 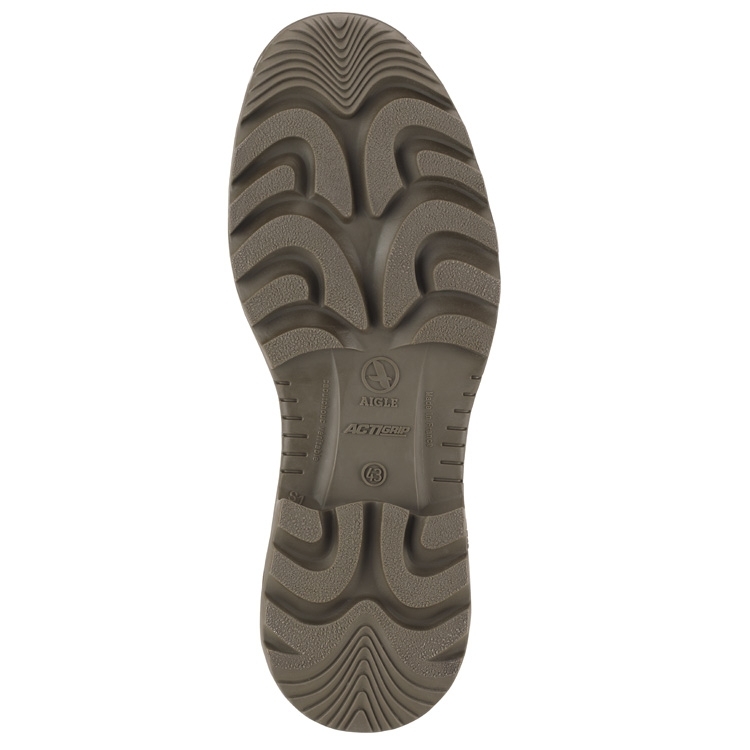 The Parcours 2 ISO Open boot also features a triple density sole for a longer lasting boot, and damping cushion in sole for comfort and stability. Have flat feet problems Aigle boots are very helpful in that respect. Not sure why you would wear any other wellington boots. These are like slippers and walking boots. Highly recommended. High in the leg very comfortable and warm . The size was quite large and the calf is quite loose. Went for the Vario version in the end. Excellent boot very light on the foot and comfortable and with the full zip easy to get on and off! time will tell on how they wear as my last boots Harkila fell apart after 6months!! This is a fabulous pair of boots bought as a preemptive replacement for my five year old pair of Parcours 2 ISOs. My old boots are still perfectly serviceable but are starting to show signs of wear and I wouldnt want to be without a pair for my daily dog walks. The sole of these boots has been redesigned and does feel a little more snug in comparison to my old pair. This is the third pair of Aigle boots I have had I have horses and go beating so they are well used. Each pair has lasted me at least 5 years and I have only replaced them as I got a nail through the bottom. I was so impressed with my Parcours boots that when my wife needed to replace her Toggis she ordered these. Excellent comfortable boot. Very good perfect fit only downfall when feet sweat the boot squeaks. 3rd pair of these enough said. This was a repeat buy of this boot to replace ones bought 8 years ago which had seen better days. They are comfortable to wear well designed and even look good I would have no hesitation in recommending them to anyone looking for a pair of wellies. Quality footwear. Well made fits good and very comfortable. Second pair of these wellies cannot fault in any way wear them 3 times a day 6 days a week. Comfort and quality excellent if you havent tried Aigle then I would highly recommend. Excellent wellington boots. This Mk 2 version seems more generously cut than the previous incarnation allowing for 2 pairs of socks if needs be. They remain exceptionally comfortable for wearing all day long. Uttings prices with seasonal discounts are very competitive and they have provided a first class service all round. I purchased these boots because I was unable to wear my regular aigles do to a leg operation. I found the boots comfortable and warm less than 2 years later the boots leak after minimum wearing would I recommend them what good is a boot that leaks.